While you’re used to receiving emails from me on behalf of Minnesota Gun Rights about the fight for the Second Amendment here in Minnesota, this email is going to be different. The Board of Directors of MGR has given me permission to write to you in my personal capacity, to talk to you about an opportunity to help some of the countless people about to be impacted by Hurricane Florence. While it’s too soon to know, exactly, the scope of the damage of this storm, it appears that Southern North Carolina is going to be slammed with a Category 3 hurricane late Thursday or early Friday. And as serious as that is, multiple national forecasts are predicting that this storm may increase and hit full Category 4 status before making landfall. With the election season not being fully upon us just yet, I have asked for, and received, a week of leave from Minnesota Gun Rights to head to North Carolina to assist with disaster relief. To be blunt, I’ve long ago got tired of sending money to national quasi-governmental agencies and crossing my fingers, hoping that the money actually went to help people in need. After watching how much money was diverted in the months following Hurricane Harvey last year to administrative costs — prompting Houston officials to beg Americans to stop funding national relief agencies — has only solidified my choice to get directly involved when I can. 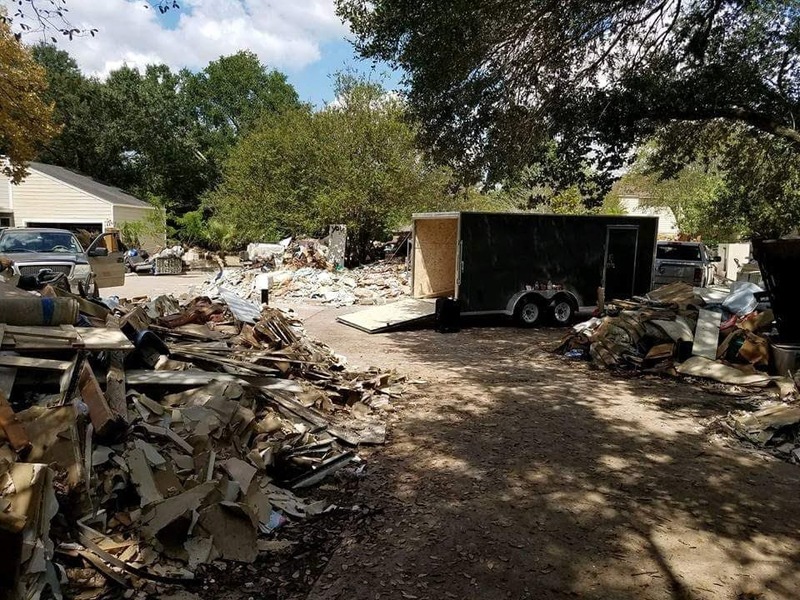 That’s why I was in Houston a year ago with a team of family and volunteers, helping demo out homes of those who were impacted by Hurricane Harvey — in a trip made possible thanks to the generosity of so many others! Here are some pictures from that trip, in case you didn’t see those after we returned. Being able to help so many people last year was a very rewarding thing to do, and that’s why we are going again this year to help those in need. I’ve been able to recruit a team of six other guys to join with me, including four of my brothers. One team of three, led by me, will be deploying into the region Thursday afternoon, to be on the ground right away Friday morning to help coordinate relief efforts that several church denominations plan to execute. The rest of our team will be arriving Saturday afternoon from Georgia, Iowa and Ohio. Thanks to the generosity of so many of you last year, we have a trailer already partially outfitted with needed gear like wheelbarrows, demolition tools, portable lights and more. But last year’s relief was focused largely on gutting flooded homes and helping them to dry out for the rebuilding phase. Helping out after this storm will be different as we will be on site immediately after the storm and having to deal with tree debris and heavy flooding. That means we need to purchase additional gear to be effective and hit the ground running. And that’s why I’m writing you, to see if you can help us obtain the equipment that we need to help as many people as possible. My wife and I already contributed $550 to fund the rental of two pickups to pull trailers to the region, which is all we are able to personally afford. >>> Two heavy duty 3” trash pumps and 100’ of pump line, to move water out of people’s basements quickly for approximately $1,900. >>> Two more 20-inch chainsaws and extra chain for approximately $975. >>> Two 100-gallon fuel tanks, half for gas and half for diesel, to make sure that we can get to work immediately and not have to spend hours in line at a gas station. Approximate cost $900 for two tanks, plus another $175 for the pump and lines. >>> Skid loader rental. One of our group is a contractor and has already reserved one near the impact zone. The skid loader, grapple bucket and trailer are $1,900 for a week. I know it’s a lot, but we can do so much with this equipment! Based on our initial budget above and related travel costs to move/house/feed a group of this size for a week, we need to raise approximately $9,000 for this week-long trip. We have set up a PayPal link to a) make it easy for you to contribute to this effort, to b) try to minimize the transaction fees that other entities like GoFundMe charge us (nearly 6%! ), and c) to prevent the days-long “holds” that those entities put on the resources. The generosity of the members of Minnesota Gun Rights has shocked me time and time again. Without it, Minnesota would likely have already succumbed to major gun-control. But you’ve come through every single time that I’ve asked for your help, and I’m hoping you can do it again. 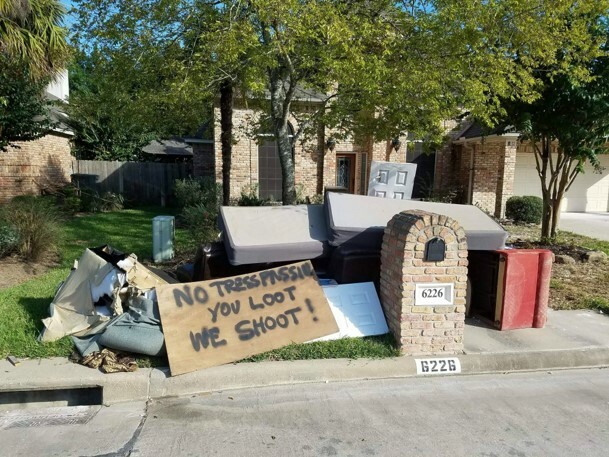 I know some of you are able to make a major donation towards this effort of $500 to $1,000 –- as some did last year during our Hurricane Harvey relief efforts. For others, your regular gifts of $10, $20 or $50 are a very personal sacrifice, and I know it. Whatever amount you can contribute will be put immediately to this project! If we are able to raise more than we need for our team, the remaining funds will set aside to respond to future storms. Sadly, I don’t have any decals, T-Shirts, or any other swag to offer you this time to thank you for your support. But the people of North Carolina are going to need our help. Already significant portions of the costal regions of North Carolina and South Carolina are under mandatory evacuation orders, and their respective Governors have already issued a state of emergency declaration. My wife and I have spent all that we can towards this effort and I’m going to give a week of my time in addition to that. Please do what you can to help us make the most of our time in North Carolina! Thank you, in advance, for whatever you can do. P.S. The Carolina coast is about to get hammered by a Category 3, Category 4, or – God have mercy – Category 5 Hurricane Florence later this week, promising massive flooding and damage. A group of Minnesotans are already making plans to head to North Carolina to help for a week, and I’m deploying with a truck and trailer in the first wave Wednesday evening to arrive Thursday to help direct further relief efforts. My wife and I have already spent just over $550 on equipment for this trip, but that’s all we can afford. That’s why I’m writing you, in my personal capacity, to ask you to consider helping us raise the additional funds that we need to purchase to be able to hit the ground running! 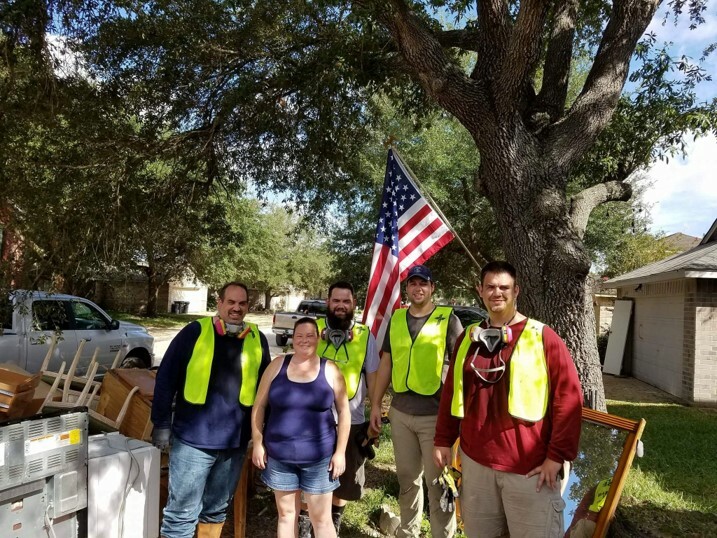 So many of you helped out so generously last year, enabling a team of us to assist with disaster relief in Houston in the weeks following Hurricane Harvey. But the people of North Carolina are going to need our help now. Please do whatever you can right away! You have received this message because you have subscribed to a mailing list of Ohio Gun Owners. If you do not wish to receive periodic emails from this source, please click below to unsubscribe. You have received this message because you have subscribed to a mailing list of Minnesota Gun Rights. If you do not wish to receive periodic emails from this source, please click below to unsubscribe.